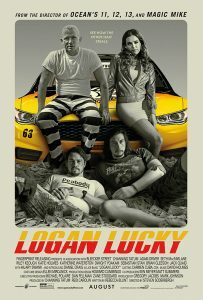 Logan Lucky bares more than a passing resemblance to last year’s Hell or High Water. A man in the American south trying to secure funds to support his estranged children recruits his brother for an ambitious bank robbery. That’s no criticism – Hell or High Water was a solid film. Nor is it an accusation of plaigary. 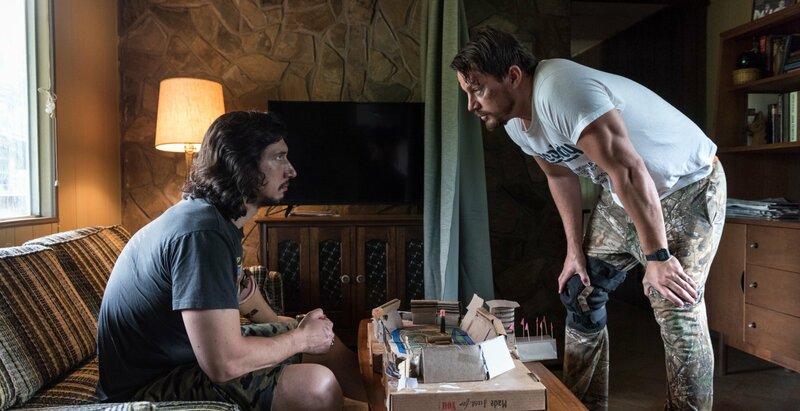 Logan Lucky takes an altogether more comedic tone in aiming to be an entertaining caper rather than a dour cops and robbers showdown. But I do think these two films are tapping into the same thing: a sense of injustice that hard-working families struggle to get by whilst undeserving fatcats and corporations lord it over them. Both films have a strong sense of Robin Hood restitution about them. The film does very little wrong. The main offending element is a rather execrable supporting role for Seth McFarlane as an obnoxious British tycoon. These appearances are thankfully brief but one wonders why they had to cast the American McFarlane for this as he relies on that terrible impersonation of a British accent that only Americans seem to think exists. Presumably there is a cottage industry of talentless voice coaches in LA who train all the clueless actors how to sound this way. 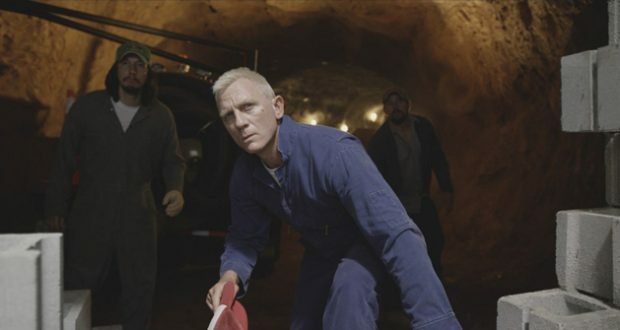 However, a far bigger role is given to Daniel Craig as West Virginian vault-busting convict Joe Bang so we have a Brit doing a (much more convincing) American accent to balance the scales. Craig is a delight in the film. Bond tends to dominate his cinematic appearances for obvious reasons, and it’s easy for Craig to get typecast as a suave tough guy, but seeing him do a comic turn as a frustrated redneck convict is a great reminder of his range as an actor. He not even the main role, even though he is a major selling point. Channing Tatum – collaborating with director Steven Soderbergh again after Magic Mike – and Adam Driver are very endearing leads as the Logan brothers, mixing an outwardly dim-witted demeanour with some convincing determination and wiles. Riley Keough is perhaps under-served by the limited screen time she gets as the fourth member of this ensemble, but she does get some choice putdowns in her scenes. It will come as no surprise that the plot around the heist is executed very well. Soderbergh directed all three of the Ocean’s Eleven films (I gather another is in the works) and this certainly ranks with the best of them. 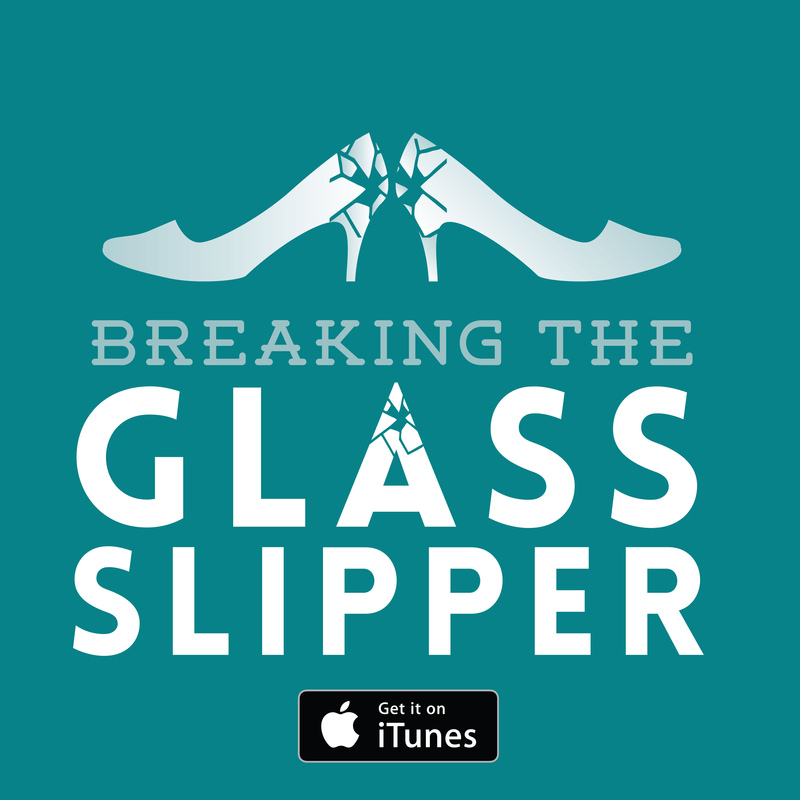 Actually, for all its very deliberate snappy editing, this felt like it had a calmer pace than the Ocean’s films. It meant there was ample focus on the characters who carry much of the film – I particularly like the subtle allusions to Tatum’s character disapproving of how his judgemental ex-wife is raising their daughter. Furthermore, the film took the time to methodically go through how all the elements of the heist come together, and threw in some slight deviations from the heist formula. Having a section at the end where the cops start sniffing around is a welcome to change when most films conclude when the big caper does. All told Logan Lucky is a very entertaining crime caper. There’s some nice social context to why these people feel entitled to a payday, a bit of depth in the characters to mine, and this is all overlaid with engaging humour and action. It’s a simple but enjoyable thing to see colourful characters use craft and guile to pull off something elaborate and just a little bit dastardly. Verdict: A thoroughly entertaining watch with a little bit more going on beneath the surface. Logan: What did you do? River of Teeth by Sarah Gailey: Always have a backup plan Hell or High Water: I’ve been poor my whole life 22 Jump Street: It’s the same case, do the same thing!